Eton has come up with a new innovative idea regarding mobile phone external battery packs. I believe the BoostTurbine is the first of its kind as it packs not only a 2000 mAh battery, but also a hand crank to recharge the battery. The battery itself is fairly large compared to competitors at 1” thick, 2.2” wide, and 5” deep, however, the feel of the battery is very premium — it has a brushed aluminum shell and a plastic interior. Although the hand crank is a great feature, its usability is mainly for emergency purposes. Continuous cranking for one minute provides enough battery for 30 seconds of talk time. Unless you are willing to let your arm fall off, don’t rely on the crank to charge the device enough to be able to use it for a long period of time. To find out how much battery the BoostTurbine has, just press the button and the LED charge indicators will let you know how much battery charge you have left. When using the battery to charge my iPhone 5 (1440 mAh) when it was dead, I was able to charge the iPhone to 85% on a full charge on the BoostTurbine. You can recharge the BoostTurbine via Micro-USB. The BoostTurbine retails for $59.99 and you can purchase it here. The BoostTurbine is great if you are looking for an emergency-situation charger, this larger-than-normal size battery charger is for you. The TYLT PowerPlant is a great small product packing a whopping 5200 mAh battery. I love its small size and portability. The TYLT PowerPlant is available in a 30 pin, Lightning connector, or Micro-USB option. In the Lightning version, the battery comes with a flexible lightning cable attached to the battery so you do not need to worry about carrying it with you. TYLT calls this patented technology the Flex charging arm, which is on the side of the device. To charge the PowerPlant to full capacity, it takes around 6-7 hours. When using the PowerPlant, I was able to charge my dead iPhone about 2 times on a full charge. One of the best features of the PowerPlant is that it is extremely lightweight and small. I am surprised at how small a 5200 mAh battery charger can be. I have simply been impressed by the TYLT PowerPlant and you can grab yours here for $89.99. 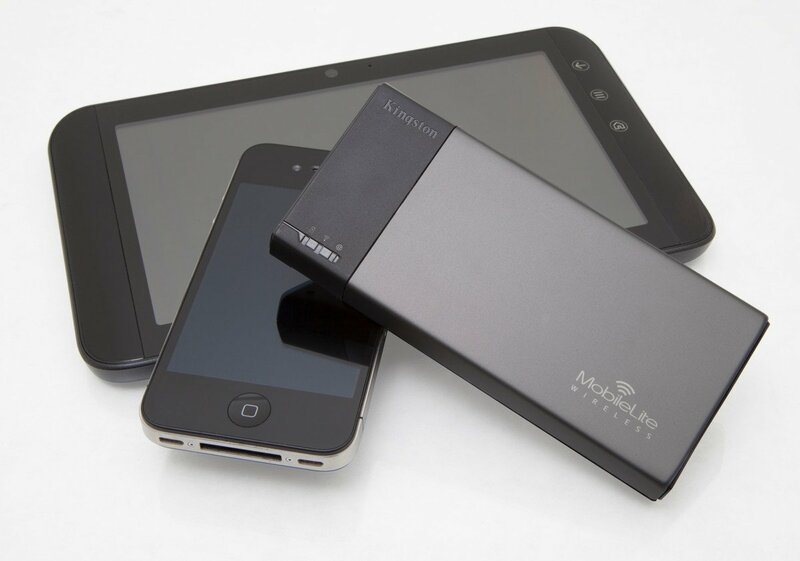 The MobileLite is Kingston‘s latest portable wireless storage device that ships without embedded storage and instead enables users to use memory cards (SD/SDHC/SDXC and microSD with included adapter) or USB flash drives to increase storage for tablets, phones and other mobile devices. Not only that, the MobileLite acts as a external battery for mobile devices as well. Over the past few months, rumors have been circulating regarding a plastic “cheap” iPhone coming later this year. These rumors include that this iPhone will be cheaper than the normal $199.99 starting price and will also be available in various colors like the iPod Touch. Techdy claims that they have got their hands on the supposed shell of the plastic iPhone, however, this time Mr. Blurrycam is not the one taking the photos. The video is high-quality and you can see every detail clearly. In addition to the video, Techdy as released 40 photos of the shell. The budget iPhone will be made substantially from plastic (we can feel it’s actually polycarbonate material). It will have a 4” screen, like the iPhone 5, and interestingly, the budget iPhone actually has a shape that’s similar to Apple’s original iPod. When we hold the budget iPhone in our hands, the plastic chassis does not feel cheap at all. Unlike the plastic build quality of the Samsung Galaxy phones, the plastic material used on the budget iPhone feels more sturdy. Although this video seems very legit, it is up to you to decide whether or not this is the real deal. We just have to wait and see what Apple has in store for us later this year! Let us know what you think about the video in the comments section below. Ryan Petrich Shows a Possible Hint of a Jailbreak on iOS 7? It could also be a possibility that Petrich was playing around with the simulator on Xcode, however, this is contradicted by the fact that simulators shows “Carrier” in the place of “iPod”. Although this tweet is no reason to be excited just yet, it can provide some satisfaction that a jailbreak is in the works. Let us know what you think in the comments section below! This could possibly mean that he is developing a jailbreak tool different from redsnow and snowbreeze or possibly an iOS 7 compatible one. We do not want to confirm anything as he has not stated anything further than that, however, he could also be trolling. Let us know what you think Hill is preparing for us in the comments section below. Entries (RSS) | Comments (RSS) | 82 queries in 0.800 seconds.